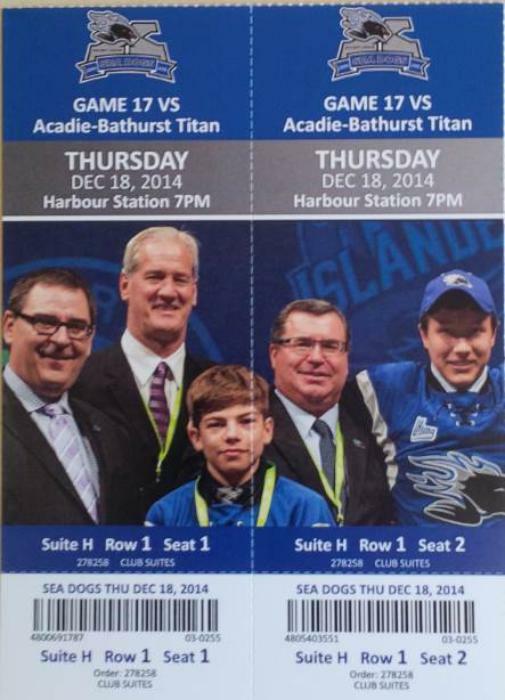 Bell Aliant has donated 2 front row seats in their corporate box for a Sea Dogs hockey game. No better way to view the game. Truly a treat and no line up for snacks or the washroom!